Today we are very happy to be able to announce the release of yet another fantastic video slot from one of our favorite game providers, Quickspin. This video slot is called Illuminous and is, with its great free spins features, a game for all of you free spins lovers out there. You can really tell that Quickspin has put in their heart and soul in this widely entertaining video slot. Quickspin is a Sweden-based game provider with a very experienced team and a burning passion for gaming, which really shows in their products. They are one of the most exciting and innovative game providers out there and we are of course extremely proud to be able to call them a part of our Videoslots family. If you like this game we recommend that you browse among Quickspin’s very impressive portfolio of games, we can almost guarantee that you will find something to your liking. 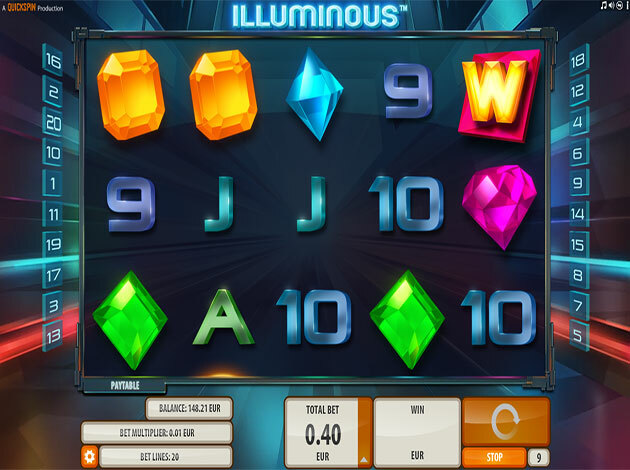 Illuminous is a 5 reel video slot with 20 fixed paylines. The bet range of this game is huge, which makes this video slot suitable for everyone, both players who just wants to have some fun and bet small and big players that wants to have the chance take home the really big wins. In addition to the classic video slots symbols A, K, Q, J, 10 and 9, the game also have some self-designed symbols which consists of various gems. The Wild-symbol is portrayed by a shining W and substitutes for all symbols except the Bonus Wild-symbol whenever it is possible to create a winning line. The Bonus Wild-symbol also substitutes for all symbols, but on top of that it also triggers Illuminous’ free spins features. If you should manage to land 2 Bonus Wild-symbols in a single spin you trigger the Hot Reel Respin feature. During the Respin feature, triggering reels will receive the Hot Reels effect and these reels have additional wilds. If you should manage to land additional Bonus Wild-symbols during the Respin feature, an additional Respin is triggered. If you were to be so lucky as to land 3 or more Bonus Wild-symbols on a single spin you will be rewarded with 5 free spins. All triggering reels will receive the Hot Reel effect during the whole free spins-round. Quickspin has really hit the spot when it comes to the music, with a smooth music loop as background sound and soothing sounds when you spin the reels. When you manage to get a win of some kind, an energetic electro music loop is played up, which makes your wins even more exciting. If you want to try the game out at first, but do not want to use real money you can try this video slot absolutely free in the demo version. And when you feel ready for some real action you can log in to your Videoslots account and play for real money and have the chance to bring home the big bucks. But now I won’t detain you any longer. Sit back and get ready for countless hours of uninterrupted entertainment. 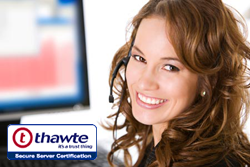 We both hope and believe that you will enjoy this video slot as much as us. We at Videoslots.com would like to wish you the best of luck in Illuminous, one of the most entertaining video slots we have seen in a while.